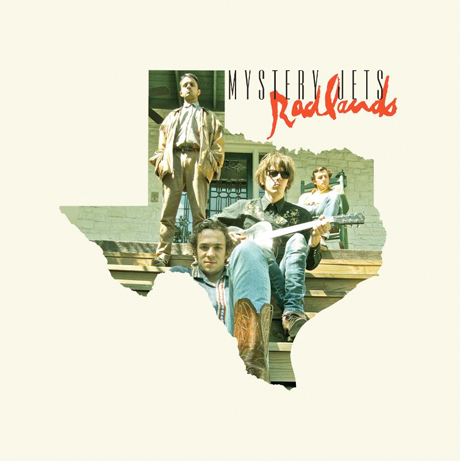 English rock troupe Mystery Jets recorded the bulk of their upcoming album Radlands in "a big old wooden house on the banks of the Colorado river," so it's no surprise that the band will be back in North America to give the songs a proper homecoming tour this June. Mystery Jets will travel across the pond and head to Boston's House of Blues June 12 for the tour kick-off, and spend the couple of weeks crisscrossing around the continent. Two gigs are lined up for Canadian fans, with the outfit arriving at Montreal's Olympia de Montreal June 18, and the next night at Toronto's Sound Academy. You can check the rest of schedule out down below. Radlands hits Canadian shelves today (April 30) through Beggars Group Canada/Rough Trade. You can stream first single "Someone Purer" down below.